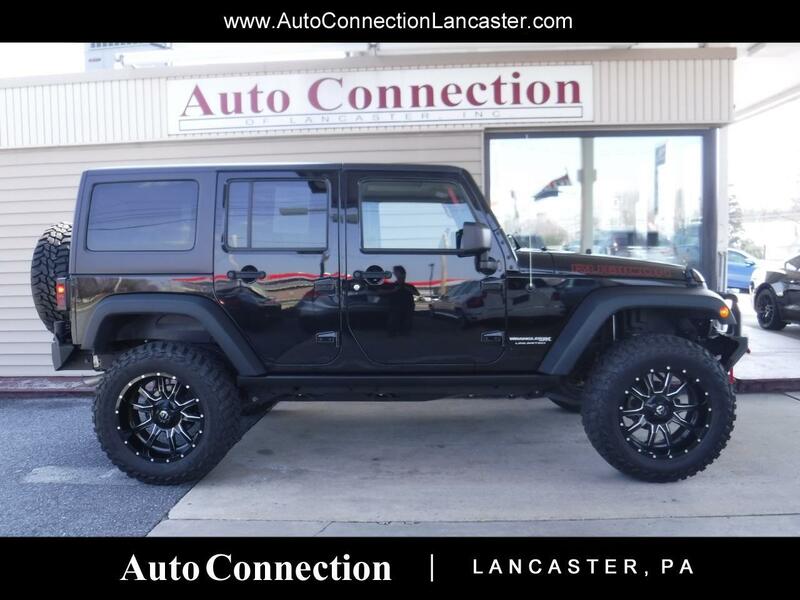 Black with black leather interior, and upgraded with a 4 inch Skyjacker suspension lift with long arm kit, Mastercraft Courser MXT tires, 20 inch Fuel Maverick black wheels, steering stabilizers, steel bumpers, oversize tire carrier with matching spare, and a brand new 9500 lb winch. Added value of over $7000! Black 3-piece removable hard top, auto climate control, remote keyless entry with remote auto start, AM/FM/SAT/CD/aux/USB radio, Bluetooth hands free phone and music streaming, 110v outlet, and more. Freshly 130-point inspected and serviced by our professional team.